Help & information about the STE V1 booster. Since I have the STE booster, could the same be achieved with this one, or do I really have to toss it and buy another one? The both pretty much the same design. Just different PCB layout. 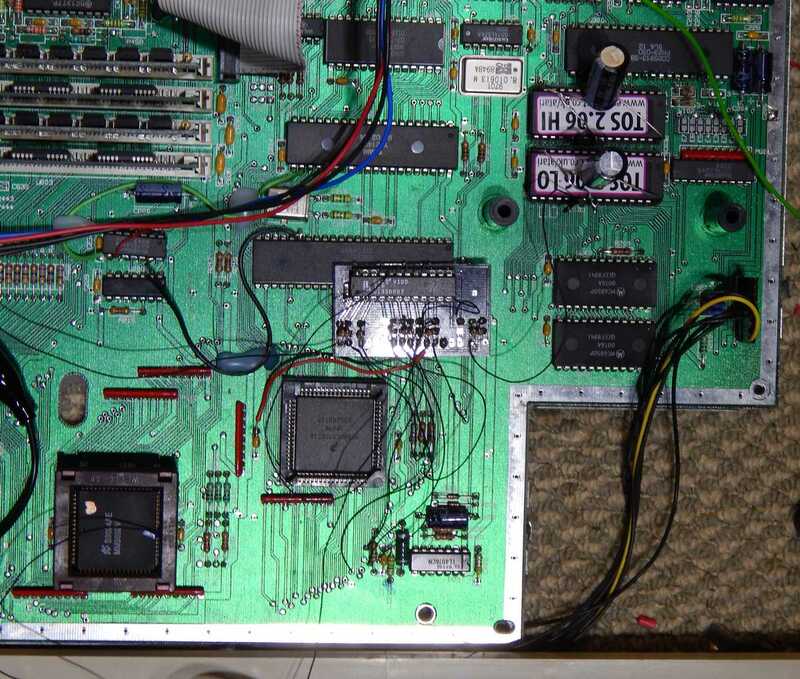 Also you will need to change the resistor packs on the motherboard for 2.2K ones, as the ones on the booster board will be isolated from the CPU. As far as I understood, this refers to the pull-ups on adress and databus, so P101-P103 and P104-P105, am I right? These have originally (at least in the schematics) 4.7k and 10k. You change them to 2.2k, because the original ones do not raise the levels fast enough for 32MHz? The address and databus resistors which are 4.7k and 10k, I change them all for 2.2K. Without them machine is just simply unstable. Signals have to change faster at 32 MHz so it needs a lower value resistor. Basically to save changing them on the motherboard, I just included them on the STE booster board itself. They then get linked with the ones on the motherboard, so the values of actually going to work out a little less than 2.2K. They then get linked with the ones on the motherboard, so the values of actually going to work out a little less than 2.2K. Should I use 1.5k for P101-P103 and 1.8k for P104 and P105 then? Last edited by IngoQ on Thu Oct 19, 2017 4:50 pm, edited 1 time in total. If you're removing the resistors, just use 2.2 K as replacements.